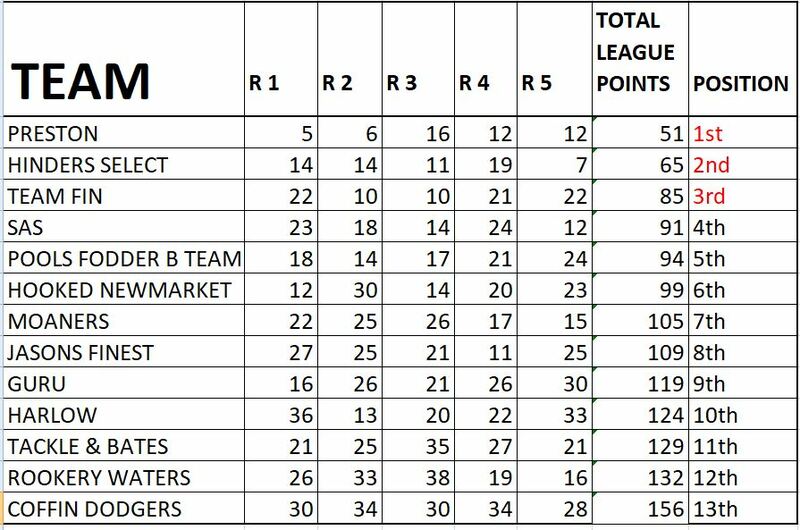 With just 2 rounds to go in the 2018/19 Teams of Three Winter League, and with several teams in with a shout of getting in the top 3 places, it was going to be another closely thought affair. With the weather turning milder and more settled over the 36 hours leading up to the match and with no ground frost or ice on the lakes, hopes were high for some good sport. All lakes produced steady sport, with either bread or maggot dominating the hookbait selection, with micro pellet and maggot as feed being the best options on all three lakes. Top team on the day went to Hinders Select, who put in an excellent performance to finish the day with 7 points, with Preston & SAS in joint second with 12 points and Moaners taking fourth place on the day with a hard earned 15 points.